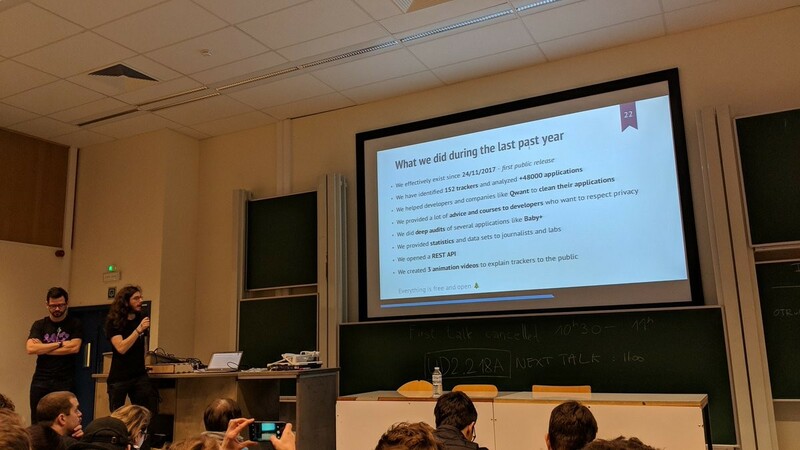 Was excited about this talk almost more than any other at #fosdem. @ExodusPrivacy@twitter.com is doing amazing work in identifying surveillance patterns in native apps on Android. And their learnings are set up to be dev-ready, easily used in your own projects.